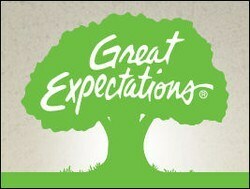 The Great Expectations (GE) teaching/training model is guided by six basic principals (Tenets). These Tenets provide guidelines for program training and implementation and serve as standards for evaluating GE schools/districts. The GE Tenets are further defined by seventeen Classroom Practices that occur in GE classrooms, schools, and districts. Through teachers' use of the GE Classroom Practices, students become self-directed learners, productive citizens, effective communicators, critical thinkers, and cooperative contributors in the classroom as well as in society. Educators helping students achieve excellence guide them in adhering to the eight expectations. You may learn more about each of these guidelines by clicking on the links to the left.